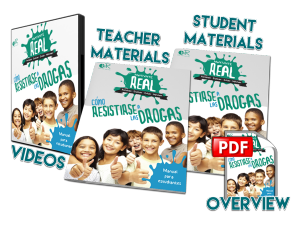 The DIGITAL bundle includes a 2-year site-license to copy the materials for all students and educators at that educational site for a period of two years. No limit on number of students! The PRINT BUNDLE includes all teacher materials and (5) student workbooks for $300 (plus tax and shipping). Additional workbooks are sold separately in sets of 5 for $30 (plus tax and shipping). 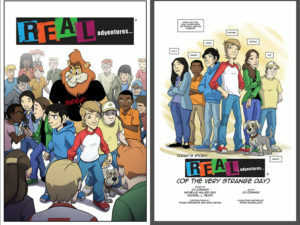 The keepin’ it REAL drug prevention curriculum is a ten-week program consisting of ten 45-minute lessons for 6th, 7th or 8th grade youth. 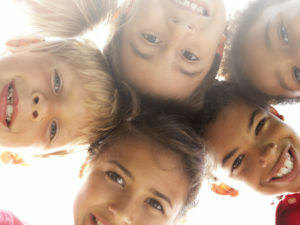 Using a “from kids, through kids, to kids” approach the videos and interactive nature of the lessons come from real kids’ experiences. The DIGITAL bundle includes a one-time cost for all teacher and student materials for one educational site for a period of two-years, including the license to copy the materials for all students and educators at that educational site. The HARD COPY BOUND bundle includes all teacher materials and (5) student workbooks ($300) for a two-year license. Additional workbooks are sold separately in sets of 5 for $30. 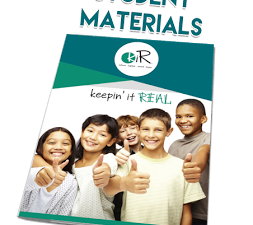 The PRINT BUNDLE includes all teacher materials and (5) student workbooks ($300). Additional workbooks are sold separately in sets of 5 for $30. The HARD COPY BOUND bundle includes all teacher materials and (5) student workbooks ($300) for a two-year license. Additional workbooks are sold separately in sets of 5 for $15. kiR Student Workbook (Multicultural Program) is sold in packs of 5 workbooks for $30 (plus tax and shipping). kiR Student Workbook (Rural Program) is sold in sets of 5 for $30 (plus tax and shipping).